Tickets are still available to see space tourist, innovator, and entrepreneur Anousheh Ansari at 7:30 p.m. today, Tuesday, Oct. 3, in Texas Hall for the next Maverick Speakers Series event. Ansari will discuss her journey to the International Space Station and her success as a telecommunications CEO and business leader. A book signing will follow her talk. 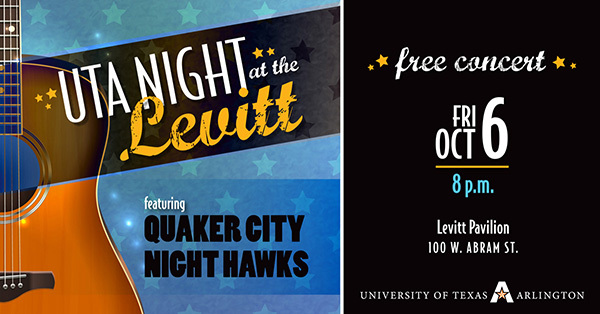 Tickets are free for students, faculty, and staff at utatickets.com. LEARN MORE. MyMav is getting a facelift! UTA’s student information portal is being upgraded to provide a refreshed look with a streamlined experience for students, faculty, and staff. 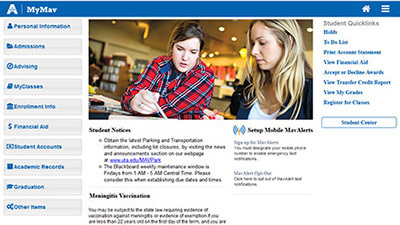 As a result, MyMav will be unavailable during the transition to the new version Friday-Sunday, Oct. 6-8. When MyMav is available Monday, Oct. 9, you will find the full main menu has moved to the right-hand side of the screen. Read more about the upgrade. Get your team together, or just yourself, and register for the Homecoming 5K through Nov. 11. The Federal Bureau of Investigation (FBI) has noted a resurgence of phone scams targeting college students where the incoming call has been spoofed to appear as if it is originating from an FBI field office. The caller claims to be an FBI agent and demands immediate payment for school loans or tuition. 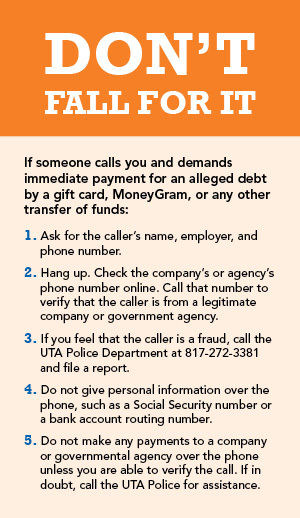 On occasion, the caller will threaten the victim with arrest or a hold on graduation unless immediate payment is made through MoneyGram or a similar system. 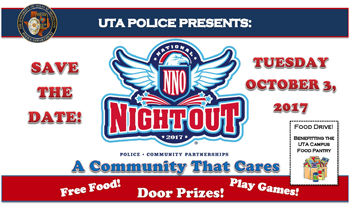 If you or anyone you know has information related to these crimes, call the UTA Police Department at 817-272-3381.